Norwegian singer-songwriter Torgeir Waldemar released his debut album in 2014 to widespread acclaim, and a Norwegian Grammy Award nomination, for a record that had a marked 70’s Laurel Canyon influence. At first glance, the tall and bearded Waldemar looks like he should be fronting a Black Metal act with an indecipherable logo, luckily images are often deceptive, and Waldemar is more folky troubadour than extreme metal screamer as his debut disc proved. 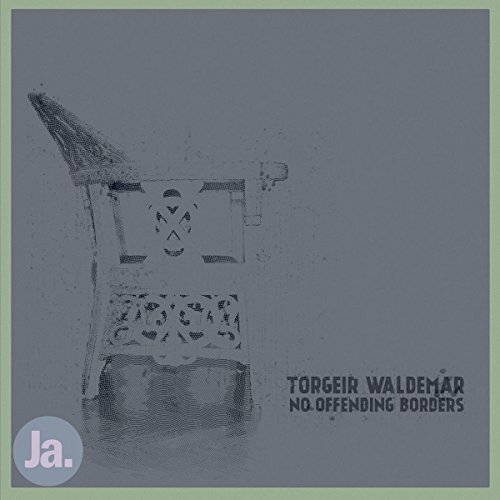 Three years on and ‘No Offending Borders’ finds Waldemar intent on expanding on his musical palette. It might be considered an unusual decision but Waldemar opens his sophomore album with a cover of ‘Falling Rain’ originally recorded by Link Wray in 1971. Surprisingly this decision works perfectly as gently picked acoustic guitar and mournful harmonica form the backdrop to enable Waldemar to make the song his own with an impassioned vocal. ‘Falling Rain’ may have originally been written in an America struggling with social upheaval and the war in Vietnam but the relevance of the song continues to this day. Things take an unexpected left term as dirty fuzz electric guitars usher in ‘Summer in Toulouse’ and Waldemar’s background in rock bands comes to the fore. Epic in every way ‘Summer in Toulouse’ features extended guitar breaks a plenty and a lovely mid-section where guitars, rumbling bass and spectral vocals intertwine. The result is classic 70's American rock, more Crazy Horse than CSN. ‘Among The Low’ follows and Waldemar seems intent on subverting traditional folk/roots as he utilises tribal drums, banjos and distorted wailing harmonica on a bedrock of nasty, squally electric guitars. The quietly stunning ‘Island Bliss’ dials things back considerably with Waldemar adding a swell of synthesizers to his picked guitar to imbue a small intimate song with an almost cinematic grandeur. Those Neil Young influences, hinted at earlier, are fully to the fore on the slow building ‘Sylvia (Southern People)’ which shares a vibe, and more than a little geographical familiarity, with the ‘After the Gold Rush’ era. Waldemar, to his credit, makes this readily apparent in the lyrics and I can’t think of a better way to spend 7.01 of your time. The haunting ‘Bottom of the Well’ features picked guitar and the sounds of sawing and hammering in the background, which is initially very odd indeed, but the sounds of carpentry merge with the percussion and a ragged, passionate vocal allows all these disparate parts to gel beautifully. An odd thought struck me, with the despair in Waldemar’s voice you have to wonder if they’re building gallows… The slow build approach is again to the fore as ’Souls On A String’ lives up to its title as lightly strummed guitars hover over a bed of organ, warm bass notes, strangely oscillating synthesizer, strings and slide guitar lines. Top this off with a vocal track that expands on the ethereal nature of the backing track and the result is beguiling. The album concludes with the unadorned folk of ‘I See the End’ a tale of devotion which is a quite perfect amalgamation of guitar and vocal harmony. ‘No Offending Borders’ is a fine multi-layered record that touches on a range of rock and folk influences but remains consistent despite, or maybe because of, this approach. If you want to dig a little deeper under the impressive musicianship and delve into the lyrics and the cover art (another important factor to Waldemar) there is much more to discover here and you’ll find the journey very rewarding.